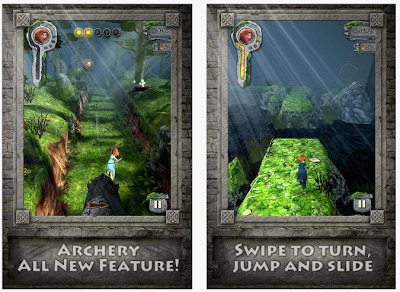 Today, you can get the game app Disney's Temple Run: Brave for FREE in the Apple Store. This game is compatible with iPhone 3GS, iPhone 4, iPhone 4S, iPod touch (3rd generation), iPod touch (4th generation) and iPad. Requires iOS 4.0 or later. Remember it is only FREE in the Apple Store TODAY, September 13, 2012.